Monday April 2-15, 2019-20 more Members of Parliament allied to Deputy President William Ruto are set to lose their state security with some being stripped of powerful positions in the house. According to reports, the looming shakeup is because the House's leaders are seen to be more loyal to Ruto than President Uhuru Kenyatta. “The President is very angry, especially with MPs from his backyard. He is focused on building his legacy, but there are leaders who have consistently defied his calls to focus their energies on the development and not 2022 presidential politics,” a confidant of the President told the local newspaper. 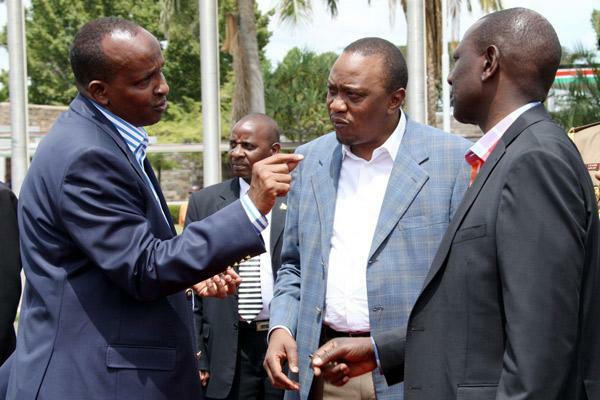 This comes barely a day after President Uhuru Kenyatta’s Government withdrew security attached to Kiambu Governor Ferdinand Waititu, Nakuru Senator Susan Kihika, Kikuyu MP Kimani Ichungwa and Bahati MP Kimani Ngunjiri for defying him by going ahead to accompany Ruto in his 2022 Presidential campaigns.